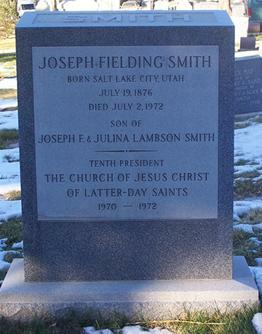 "Yea, and are willing to mourn with those that mourn; yea, and comfort those that stand in need of comfort, and to stand as witnesses of God at all times and in all things, and in all places that ye may be in, even until death, that ye may be redeemed of God, and be numbered with those of the first resurrection, that ye may have eternal life." "No person who has lived and died on this earth will be denied the resurrection. Reason teaches this, and it is a simple matter of justice. Adam alone was responsible for death, and therefore the Lord does not lay this to the charge of any other person. Justice demands that no person who was not responsible for death shall be held responsible for it, and therefore, as Paul declared, As in Adam all die, even so in Christ shall all be made alive."